Case After Case. Year After Year. FRED systems set the standard for forensic acquisition and analysis workstations. The quality, features, performance, and overall capability are second to none. Buying a FRED system means making an investment in your ability to solve every investigation. Year after year. Case after case. FRED systems help forensic examiners world-wide work smarter, faster, and with more success. Put the power of FRED to work for you today. It’s Not Just What We Build In. It’s How We Go About Building It. Our philosophy is simple. Design and build FRED systems with features and components not available in any other forensic computer systems. Spec and configure FREDs based upon our experience and real-world knowledge of digital forensics. Use the highest quality components available. Control our build process for excellent quality. Use commercially available forensic software to test the living daylights out of any FRED we put our name on. And support our customer base stand with a comprehensive warranty and a lifetime of professional technical support. FRED systems are designed and built from the ground up as high performance, forensic acquisition, analysis and processing platforms. The advanced technology and features available exclusively from Digital Intelligence set FRED systems apart and Digital Intelligence's build quality and service ensure your FRED investment will yield lasting value. Forensic and eDiscovery software plays a large role in selecting which FRED system is best for any given application. We build FRED systems with either single or multiple CPU configurations to ensure optimal software processing. The FRED DX (Dual Xeon) and FRED SR systems are ideal for software applications that process data efficiently using multiple CPUs. FRED DX systems ship standard with dual, 8 core CPUs. CPU upgrades to 10, 14, and 18 cores (36 total cores) are available. 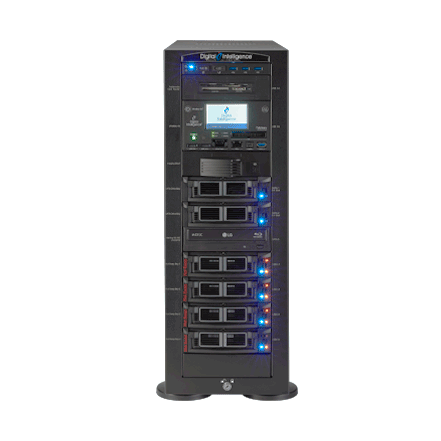 When application software doesn't require a multiple CPU configuration, our base FRED workstation provides outstanding performance and value for digital forensic and eDiscovery applications. Intel i7 CPUs are standard. Upgrades to Intel i9 CPUs are available. Base FRED workstations can be built with up to 18 processor cores. 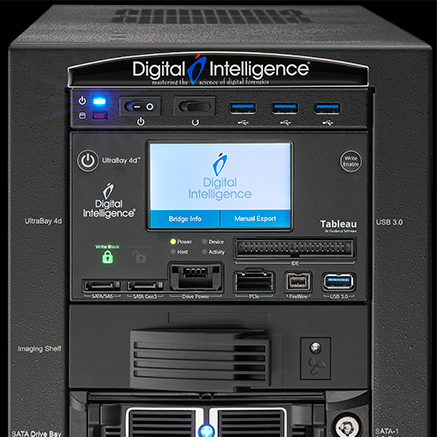 Available only with Digital Intelligence FRED systems, the UltraBay 4d provides unmatched, hardware based forensic imaging of SATA, IDE, SAS, USB 3, FireWire, and PCIe based SSD storage devices. Image one device or multiple devices at a time. Use the integrated touch-screen UI to obtain device information, view and select LUNs for imaging, or understand more about the file system on a suspect device. Image data knowing that the FRED integrated drive tray / cooler will keep a constant air flowing across the suspect drive. We sweat the little stuff for you. 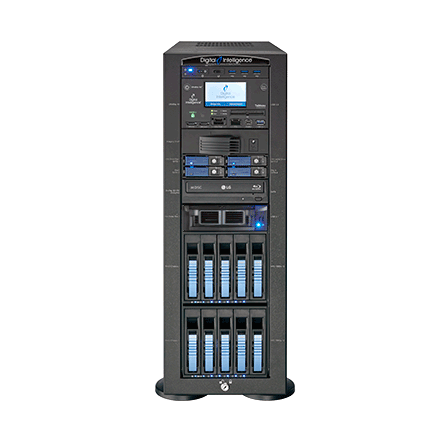 Three (3) x Five (5) bay RAID chassis (15 drives total). Five 2 TB (8 TB RAID5) is baseline configuration. 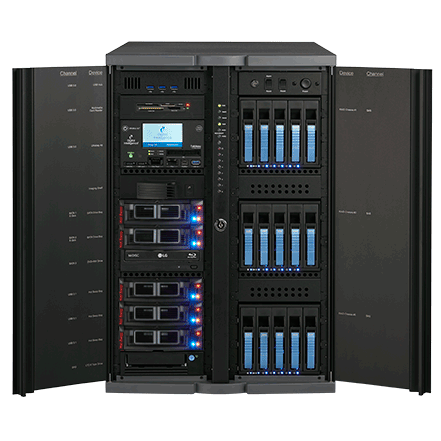 RAID capacity up to 140 TB using 10 TB drives. 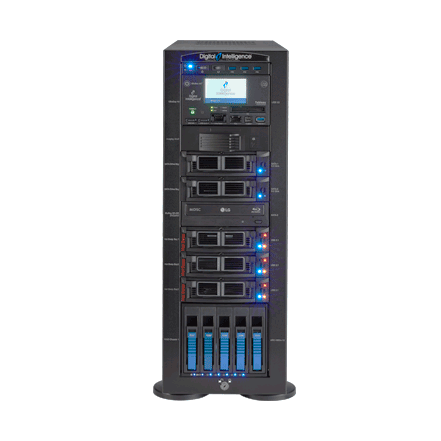 Additional RAID configurations and drive options available. UltraBay 4d touch-screen user interface. Displays device details, display and manage LUNs and HDD protected regions. Examine file partitions.